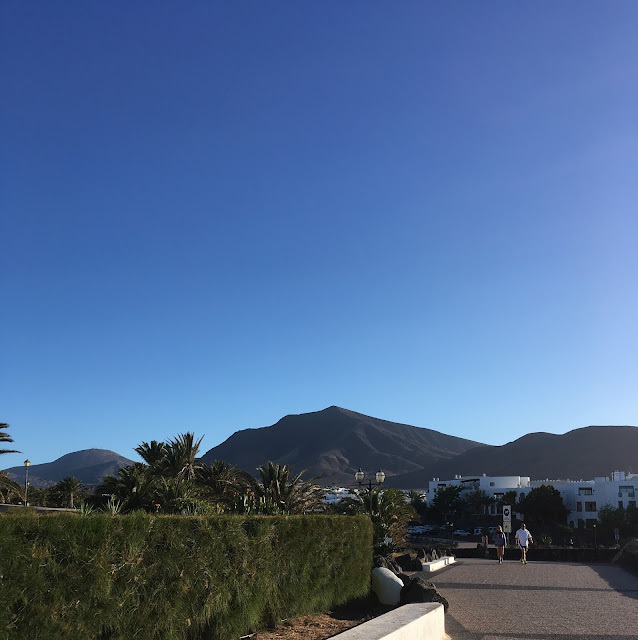 If you follow me on Instagram you will know that about a month ago I went on holiday to Lanzarote. 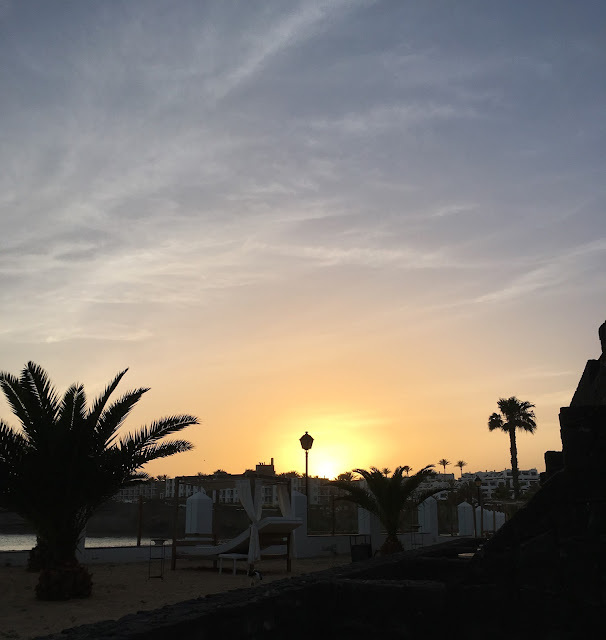 I had never been to Lazarote before so I was really excited to explore somewhere different to my usual holiday destination of Greece. 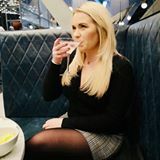 We flew from Manchester airport and the flight was around 4hrs which is usually my limit, I'm such a fidgety passenger, I hate being in a confined space for a long period of time but luckily we were upgraded to Premium class seats which was amazing and made the flight really comfortable. 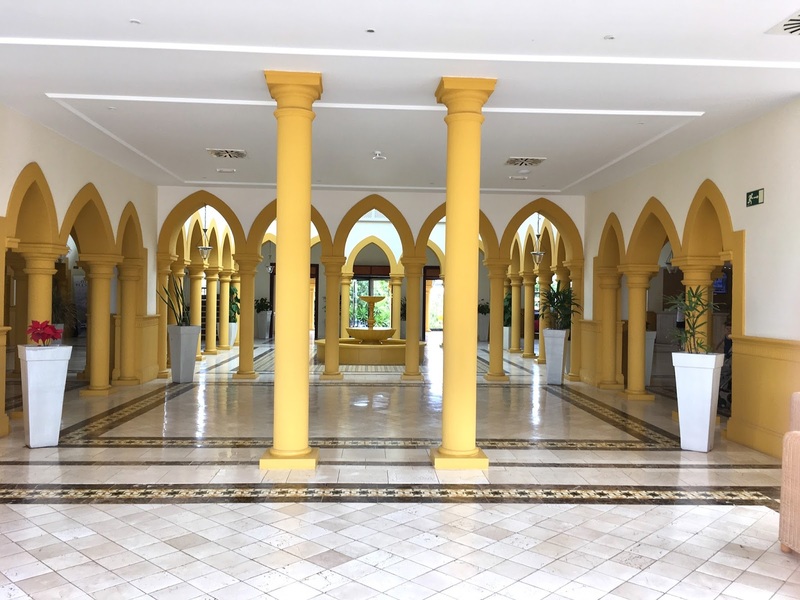 The Gran Castillo Tagora hotel is situated on the South coast of the island and it overlooks the neighbouring island Fuerteventura. It's approximately a 30 to 40 minute transfer from the airport. We arrived in the evening so there wasn't much to see apart from our incredible hotel room, below is a short room tour video, it was absolutely massive, more like a apartment than a room!!! It had a very large living room, a bedroom with the biggest bed ever, a walk in wardrobe, a bathroom with separate toilet room, a walk in shower and hot tub - yes there was a hot tub in our bathroom and we also had a double fronted private patio area with sun loungers, table and chair and a view of the sea - bliss. This hotel caters for families and couples and what we really liked was that even though there were a lot of families at the hotel, it had separate areas for couple/adults only, so we could escape from the noise if we wanted to, this included in the dining area and there was an adults only pool too. We decided to opt for the All Inclusive option and the food was really nice. The choice was changed daily and there was always a selection of different meats cooked on a fresh grill every day, however my boyfriend is a vegetarian and the choices got very repetitive for him so this is something that could definitely be improved by the hotel, he was slightly sick of salad and bread by the end of the holiday. The staff were extremely friendly and polite and nothing was too much trouble at all. There was a large animation team too to entertain the children that were there and there was always live entertainment in the evening but nothing too crazy, making it a great place for some rest and relaxation. The hotel was spotless, the pool areas were always clean and the maids came and cleaned our room daily or whenever we wanted them too. Lazarote was beautiful. I had imagined, because it is a volcanic island, it would be quite sparse and bare but everywhere we went there were pretty and unusual cactus, tress and flowers. I was really surprised as to how well kept everywhere was, not just at the hotel but on the whole island - bright white washed buildings, no litter anywhere and there was also a lot of up and coming areas with new buildings being built. As we went in March I was expecting the weather to be nice but not too hot, however as each day passed it got hotter and hotter, averaging at about 25 degrees with a nice cool breeze, which was really nice for me as I have super sensitive skin which burns very easily. We went for some walks during our stay to explore the surrounding areas. 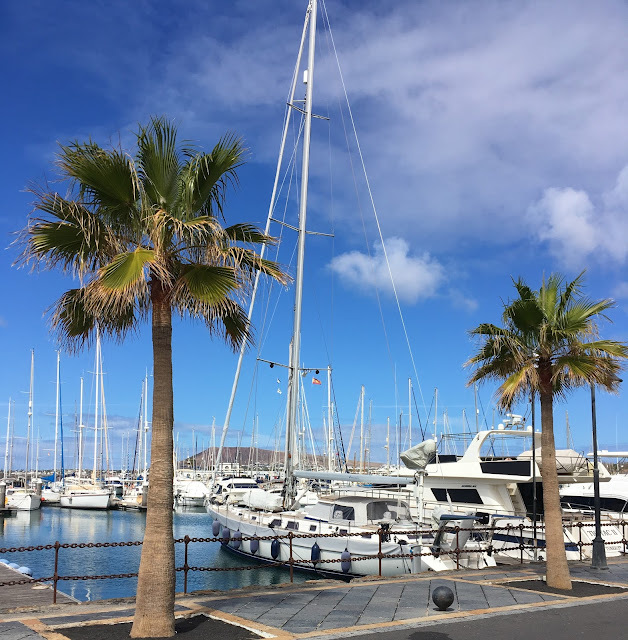 On the first day we walked outside of our hotel and along the sea front where we ended up at a pretty little Marina called Marina Rubicón which was extremely pretty with lots of expensive looking boats, little cafes and shops, so we we sat and ate lunch and did some people watching. 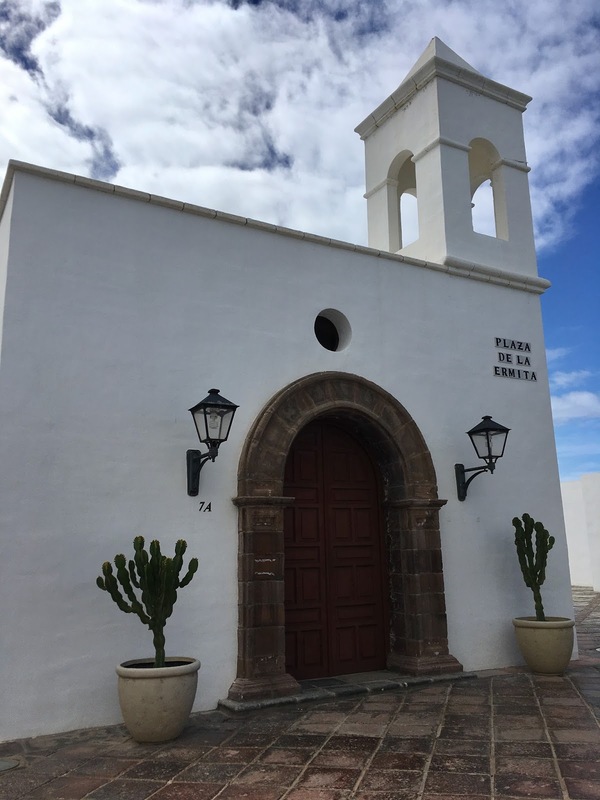 There is so much for all of the family to do in Lazarote, there are lots of excursions you can choose to go on like horse riding, tours of different areas of the island, segway tours and you can even get a ferry across to Fuerteventura from Playa Blance which was a 5 minute taxi ride away from the hotel - taxis are super cheap in Lazarote and they are very efficient. On the last day we decided to have a break from the All Inclusive food and went to a little independent restaurant which was less than a 5 minute walk from our hotel called Casa Carlos (which was rated very highly on Trip Advisor) and we were not disappointed, we actually wished we had visited it earlier in the holiday as the meal we had was delicious, so I would highly recommend eating there if you are in the area. Lazarote was more than what I expected it to be and I would definitely go back to explore more of the island. We wanted a relaxing holiday with options to do as much or as little as we wanted and that is exactly what we got. Have you ever visited Lanzarote? Wow, the hotel looks stunning! I can't believe you got a bit run in your room! I've never been to Lanzarote but I've heard us beautiful and I'd love to visit!